5 pairs available in a choice of 3 different colourways, so everyone will be happy! 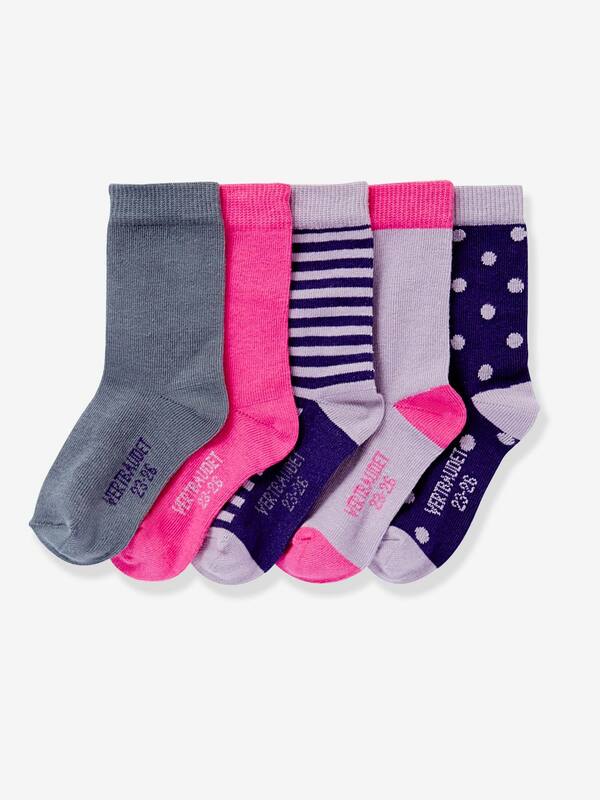 Pack contains 5 assorted pais: 3 plain pairs + 1 striped pair + 1 pair with polka dots. Socks 78% cotton 20% polyamide 2% elastane (or, depending on chosen colour: 73% cotton, 20% polyamide, 5% polyester, 2% elastane).